Well, you've made it. It's the weekend. I hope you're reading this while drinking tea or coffee in your bed and eating something really indulgent. This coming week will be a busy one for the ol' spinster, so I've decided this next week will be full of something to help everyone relax: coloring pages. 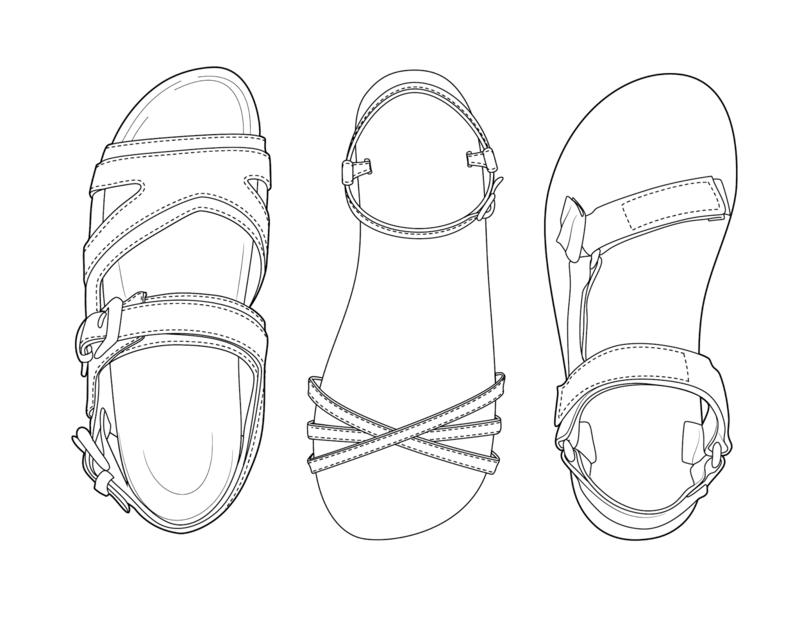 Today"s is an assortment of sandals from the spring 2015 collections. This way, though, you can design your own colorways! Print this out on 8.5x11 paper and go to town! Spinster Shopping: Pop of Pineapple! Atlanta Spinstering: I'm Yelp Elite 2015! Monday Morning and an Old Playlist.